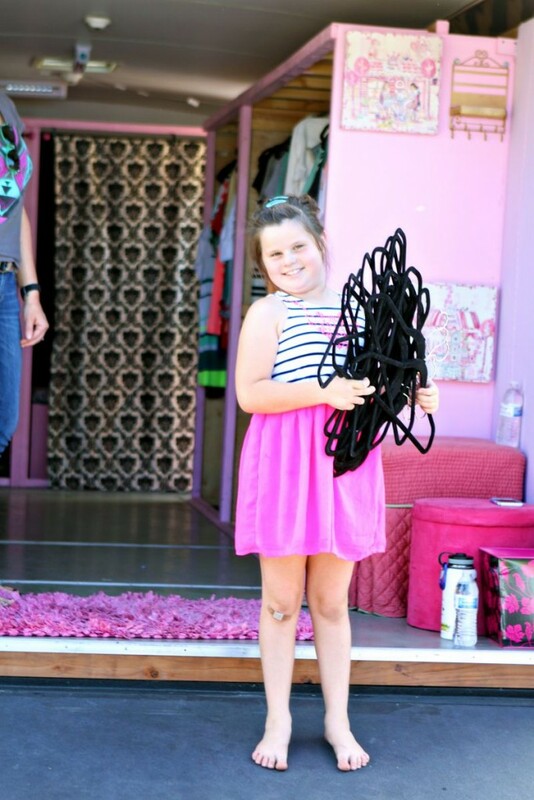 A girl looking for her perfect dress in Middletown, CA after the Valley Fire. 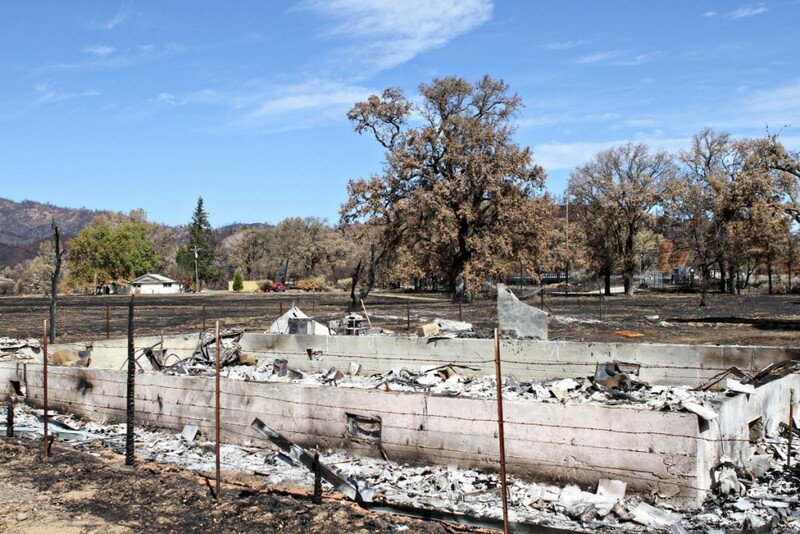 The Valley Fire swept through the southern portion of our neighboring county less than a month ago. 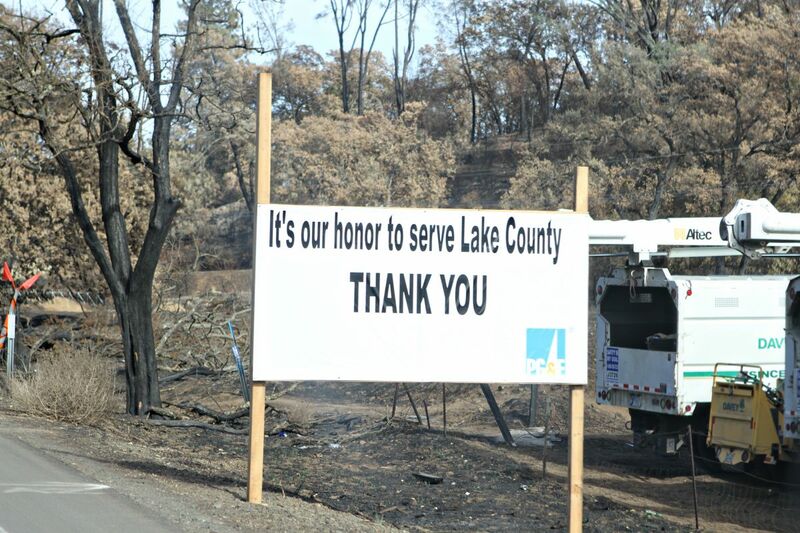 In its wake, it burned over 76,000 acres, 1,958 structures, and displaced thousands of residents. This was a fast-moving fire and many people had to flee their homes with just the clothing they were wearing. 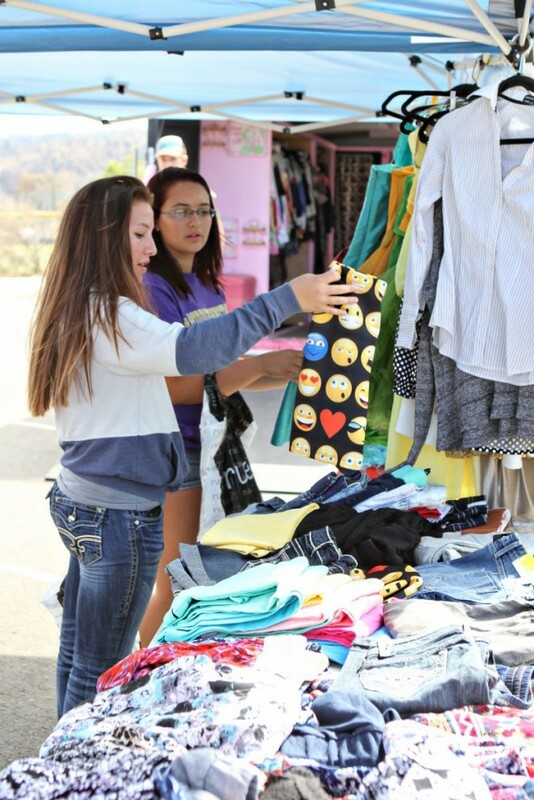 Threads for Teens immediately wanted to get involved to help replace some of the clothing for the teen girls affected by this tragedy. 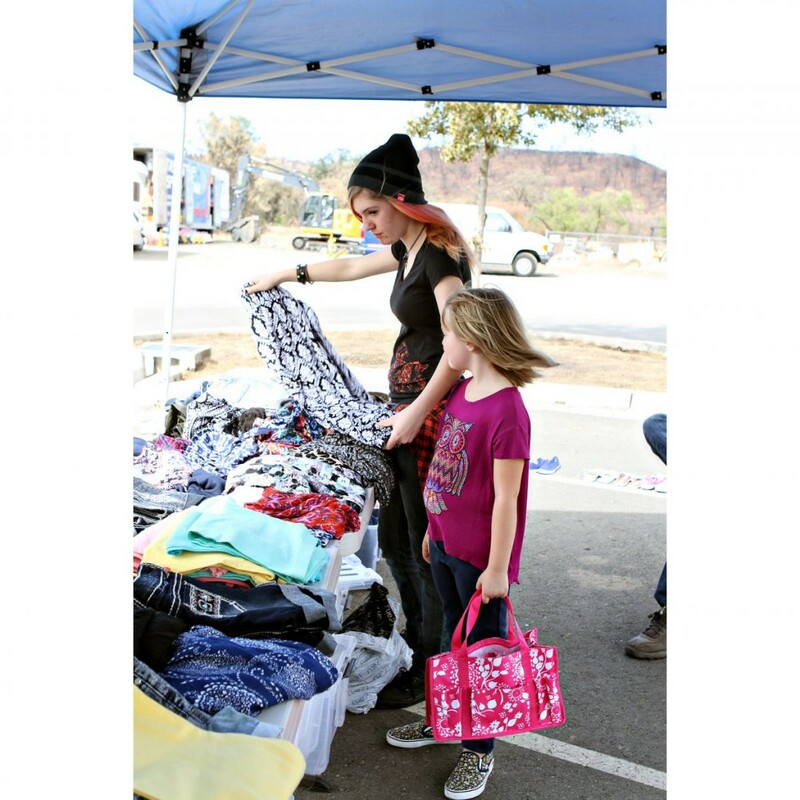 A decision was quickly made to take the mobile boutique up to distribute clothing. I wasn’t quite sure how to “advertise” us coming up, so I put a post on Facebook, never thinking it would be shared over 1,200 times. Immediately, girls were calling and emailing to RSVP. Our Pint-Sized Volunteer Rory came to help! 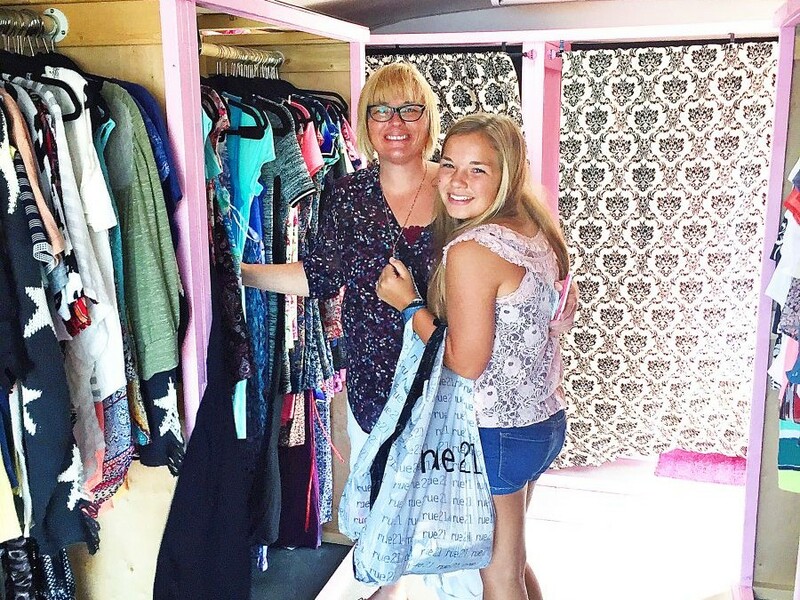 On September 26th, five teen volunteers met at the Threads for Teens storefront in Santa Rosa to pack the mobile boutique for a trip to Middletown. Early on the morning of September 27th, it was a family affair up to Middletown to greet the girls. My dad (“Grandpa Gus”), my mom (Mary), my sister (Abbie), and her daughter (Rory), left bright and early to met my cousin’s wife (Lisabeth) at Middletown High School. I am so thankful to have volunteers and a family that believes in the mission of Threads for Teens and is always ready to jump in to help when needed. Soon after our arrival, the girls started showing up to shop. Many of them were friends and since school hadn’t yet resumed, this was their first time seeing each other since before the fire. Needless to say, this was a day full of tears and hugs. Don’t get me wrong though, this wasn’t an overall sad day, it was also beautiful and full of laughter and big smiles. 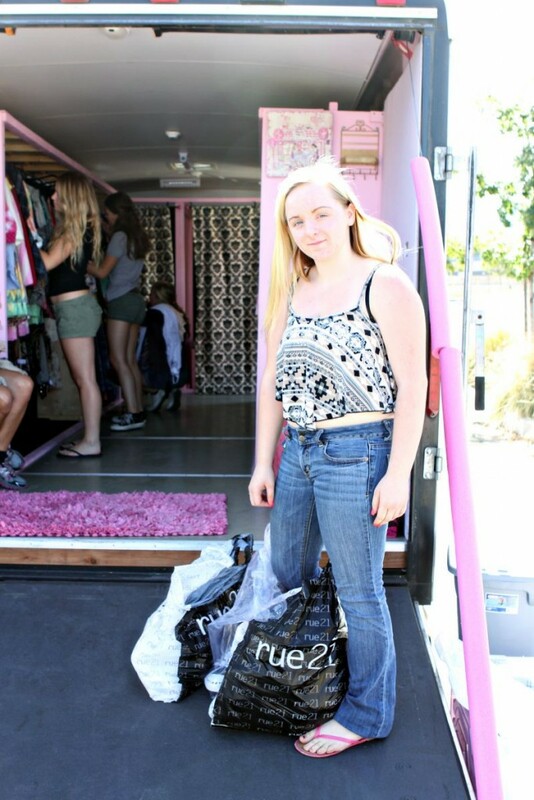 The girls had so much fun choosing brand new clothing donated by rue21 and Wildfox Couture, shoes from Keds, and colorful homecoming dresses. The girls love the Emoji skirts from rue21! To get to the high school, we drove through many of the burned areas. It was devastating to see places we’ve seen many times before having been reduced to piles of ash. On many properties the only things left, aside from the ash, were fireplaces, cement foundations, and shells of burned vehicles. 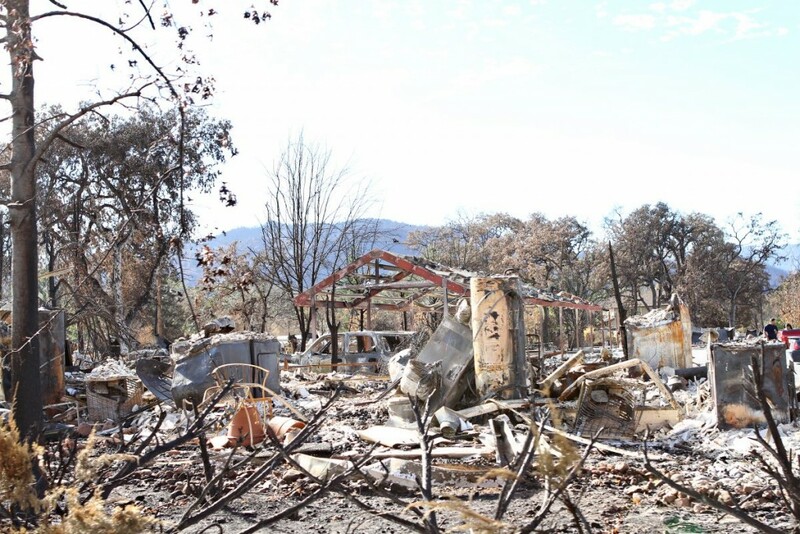 The devastation from the Valley Fire hurts to see. Many of the girls and their moms wanted to hug us before they left, at times, not letting go for a while. We were getting the thanks, but in all honesty, it felt like we should be thanking them. I don’t know how to explain it, but I really feel like I get more out of giving to every girl that comes to Threads for Teens than I’ll ever be able to give. The principal of the high school, Mr. Roderick, also came by to express his appreciation. Our next visit to Middletown will be on Sunday, October 18th. If you know of a teen girl in grades 7-12 that lost her home in the Valley Fire, please email amy@threadsforteens.org to RSVP. I will respond with the time and location. Homecoming is coming up in Middletown! In response to the Facebook thread, I also started receiving donations of gently-used clothing, shoes, purses, etc., some being mailed from as far away as Virginia! We’ll also bring those and they’ll be available to the girls. If you have something you’d like to donate, please contact me and I’ll get you an address or if you’re local, we can meet. We enjoyed serving you too Lake County! Hi! I’m so excited for the work that you’ve been doing. I have been involved with Big Brothers Big Sisters for many years and I have a big heart for teenagers. 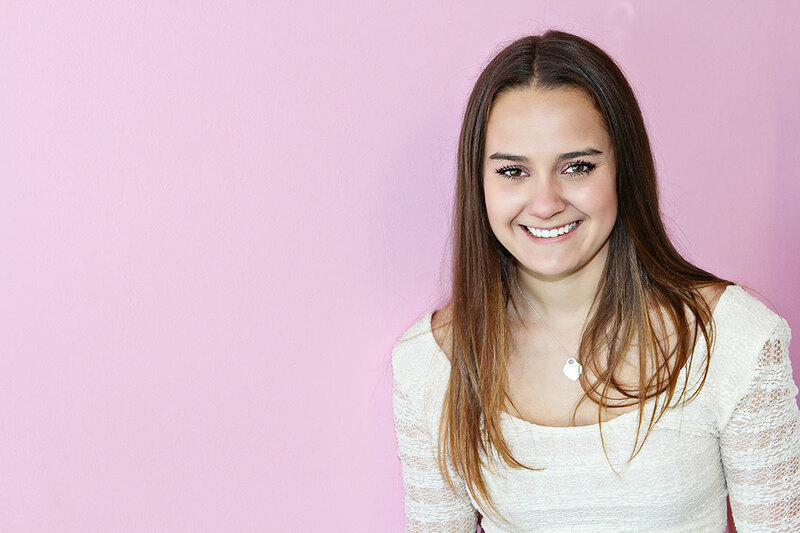 13-18, are very important years in a person’s life and teens wardrobes make a big difference. 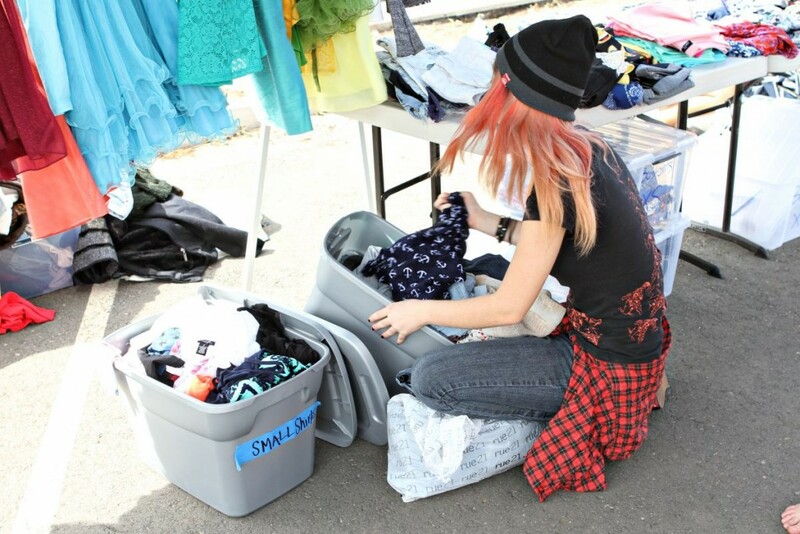 I have recently gathered many clothes that I would love to donate. I like in Lakeport, Ca and am traveling over to Ukiah, tomorrow. Do you have a donation station somewhere between here and there? Thank you!